Personalised Asian fashion has been on an on-going trend (but as we know can’t be fully tailored to the customer’s needs all the time), but recently people have been yearning for that outfit, which has been customised to suit their taste down to every detail where possible. But imagine having a customised Asian outfit starting from the click of a button! India Boulevard is that very answer for the UK; they are a curated e-commerce platform that connects customers across the world with a variety of boutique fashion designers. They take your inspirations, understand your style preferences and budget spend to customise a unique design just for you! And that my friends is music to my ears! 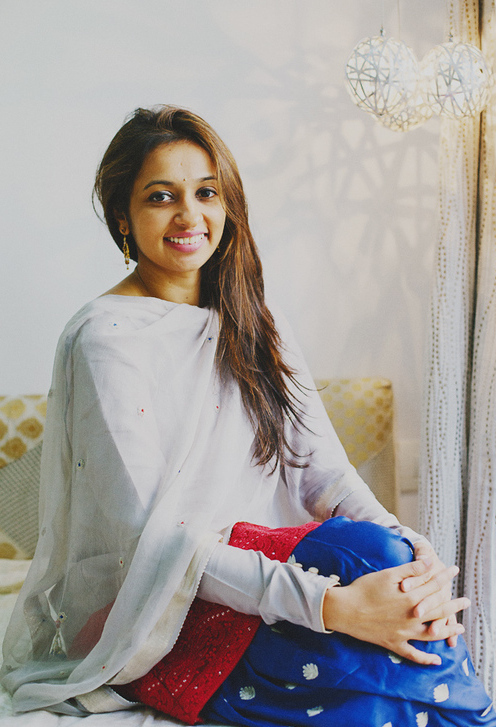 We managed to have an opportunity to interview the founder behind India Boulevard, Akta Adani: the mastermind behind this unique concept, where having a custom made outfit is accessible to everyone everywhere. In your words, what is India Boulevard all about and how did it all start? It all started in early 2015, when I was in the midst of own wedding preparation. Through the endless hunt for my bridal outfit I constantly found myself making a trade-off between quality and price. The problems I ran into were the high mark-ups, off-the-shelf designs and very limited choice. While eventually I found my dream outfit, the experience made me think ‘This is a problem I want to solve’. My quest for an affordable custom designed outfit led to the birth of India Boulevard! Do you feel customisation is a growing trend and why do you think this may be? More than customisation being a trend, I believe that people want to reflect their personality through their outfits and that’s why customisation is so important. It is bringing couture to every one. For example, recently we made a bridal lehenga for a customer and added a dove on her lehenga as an ode to her mom. For another bride, we added a crystal bow for the princess look. That’s why my philosophy at India Boulevard is ‘Inspired by you, designed by us’! I know for some brides, trusting a designer to create their perfect dream outfit can be initially difficult, but how does India Boulevard eliminate that worry? Well, we have our secret ingredient – our customer service. Having been through the experience myself, I consider us to be fortunate that a bride has chosen us to design her dream outfit. It is a sign of trust, which we value very highly. We go through an extensive brainstorming sessions with brides and their immediate family to understand their culture, wedding theme, and preferences to create a unique look. Given our success, one of our brides also asked us to design an outfit for the groom and the bridesmaid and then the entire family! For any of our readers who want to customise outfits from their very own wardrobe, what would be your top tip? We recently launched our ‘Upcyling’ services. I like to think of it as the art of creative reused, where we take your existing sarees or lehengas and help you re-create a new look with your outfits that you already love. You can read more on ‘upcyling’ our blog on how it works. Yes, we do! We’re doing a road show this month in London and next month in New York. Stay tuned to our blog and we’ll keep you updated on all the latest designs and tips from our partner designers and stylists. We look forward to Akta’s visit to London where we will be catching up with her, so stay tuned for more! For more information you can visit their website here, or email India Boulevard on akta@indiaboulevard.com. Follow their adventures here on Instagram, Twitter and Facebook. Share your photos of your own customised outfits with us on Twitter and hashtag #LondonKiLadki and #IndiaBoulevard.